If you are interested in this review, you can listen to the podcast of Matthew Goodwin discussing the book at LSE on 22 October 2018 as part of an event series held in the run-up to LSE Festival 2019 on the theme of ‘New World (Dis)Orders‘, taking place between 25 February and 2 March 2019. There are some assumptions at work here that seem questionable, too. 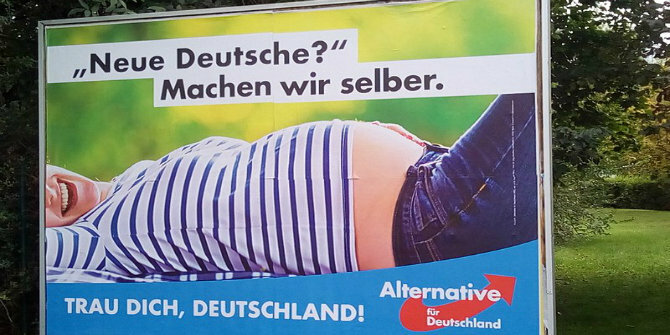 National Populismregularly imputes to voters an unrealistic degree of sophistication in the formation of their preferences. We are told, for example, that people see the nation state as ‘the only construct that has proven capable of organising our political and social lives’, which is a rather nuanced leap from the available polling evidence that many people are supportive of their nation as a matter of course. Going much further than this, though, entails some assertions that come across as pandering, and may make for slightly difficult reading for those with liberal priors. 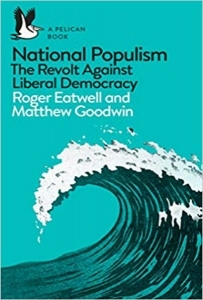 While discussing the commonplace conspiracism within a lot of populist rhetoric, Eatwell and Goodwin point out the underlying antisemitism present in a lot of the theories surrounding the activities of George Soros, but then seem to forget such concerns in the effort to take national populism seriously: ‘Soros does invest heavily in civil-society campaigns that tend to be pro-EU and anti-Brexit’. The fact that Soros is just one example in a crowded field of wealthy, politically-interested financiers is not raised.